Every one of us loves to travel. We would do anything just to get our minds off from work and life. That is why if you own a travel agency or just want to promote a destination and want to give the people the travel that they deserve, what better way to encourage them than to provide a travel brochure. 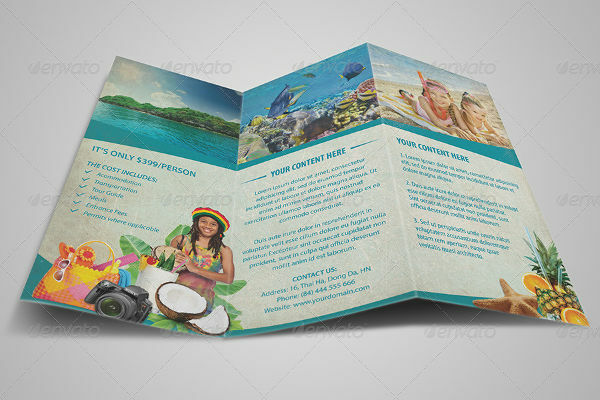 Travel brochure example is the best way to promote your travel offer. It has everything in it. From the destinations, the hotel, to the restaurant. People would definitely check out your travel brochure because they know that you hand-picked the travel and the accommodations, thus giving them less daunting in their part. 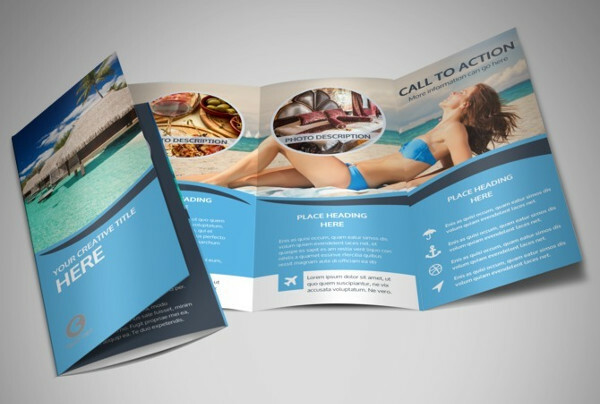 Travel business brochures are one of the effective ways to advertise a travel destination, a hotel, and a restaurant. Whether you are a travel agent or a tour guide that promotes a destination, the travel brochures are your tool in providing them information and giving them reasons to travel along with you. 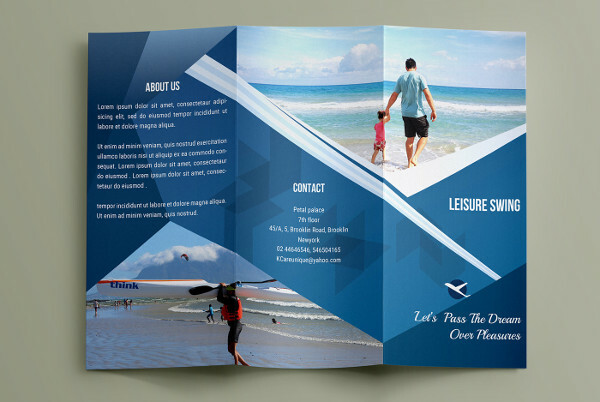 Here are the few reasons why developing a travel brochure is importance in any travel offers. 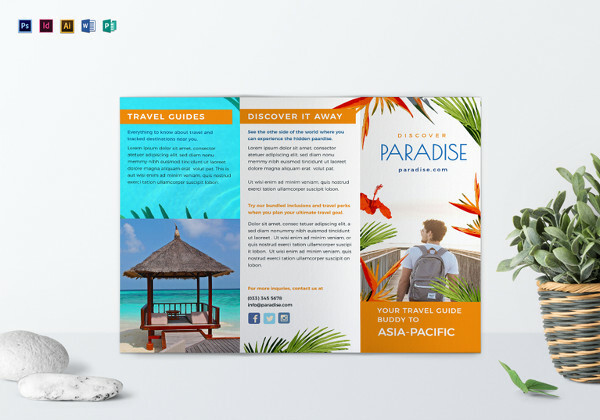 Travel brochures are among the most flexible tool you can use to provide information about your travel package. Airline ticketing office or even museums and landmarks have travel brochures at their lobby or waiting area. As the potential customers sit or wait, they will have to read your travel brochure, thus increasing the promotion of your travel offer. Travel brochures are low in cost. 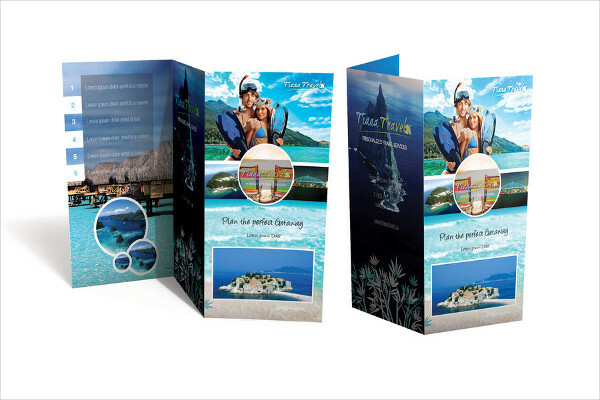 Unlike any advertising strategic plan, travel brochure has relatively low-cost for production and printing. 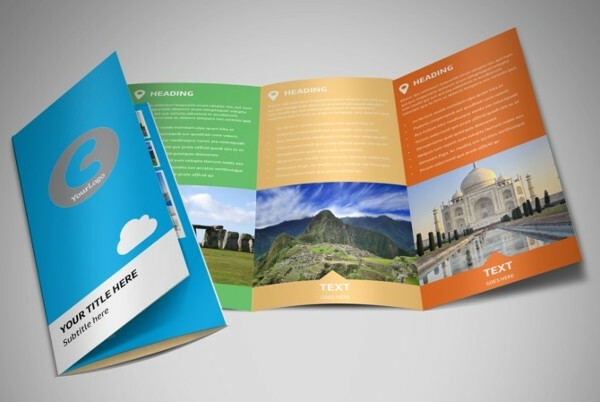 A single brochure may only cost as little as $1 to $3 to produce depending on the design. The more brochure you produce the less-expensive each one is. Travel brochure sums up the whole travel that will be experienced by the customer without the need of explaining too much about the travel. 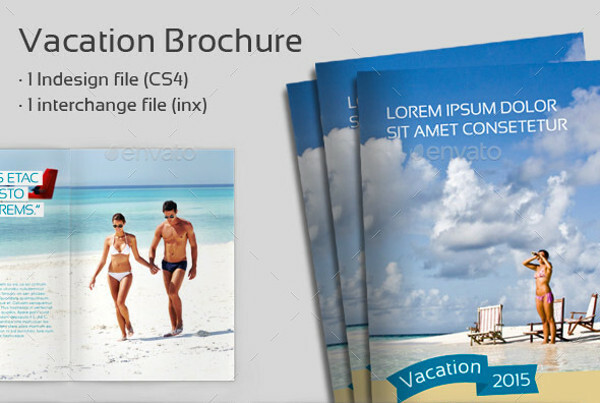 Travel brochure provides information and images that are very important to the potential customer. This will guide them and gives them an idea of the travel. 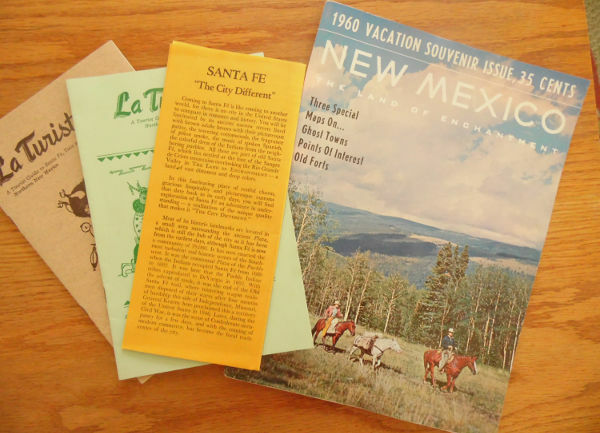 Travel brochures are a great way to promote travel promos and discounts. This attracts the potential customer to choose your travel offer. You can use a trifold brochure to list all the promos and discounts. 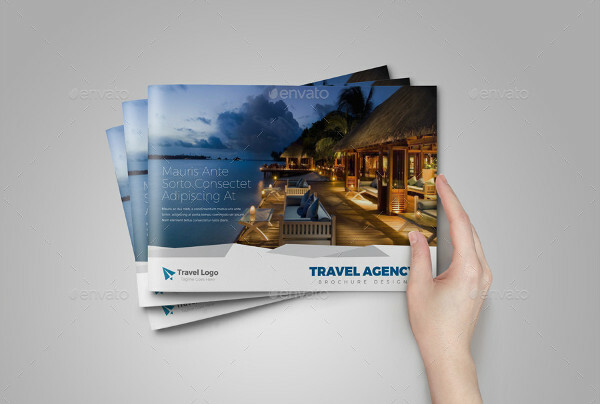 Travel brochures provide an overview of the travel agency. It is also the best way not only to promote the travel but also to promote the travel agency that handles the whole travel. This will give the potential customer the reason to choose your agency if they need to travel again. 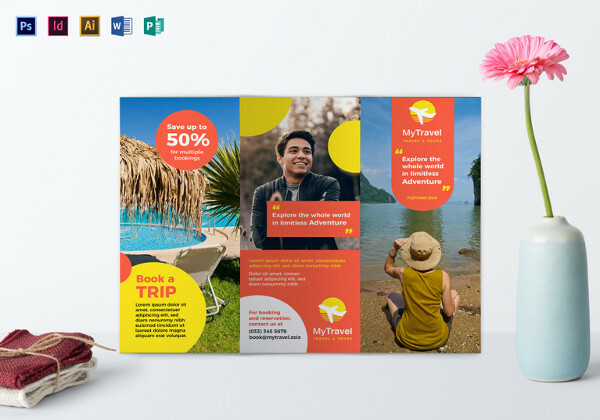 The most creative way to boost and promote any travel destination and make a profit out it is to create a well-designed travel brochure. 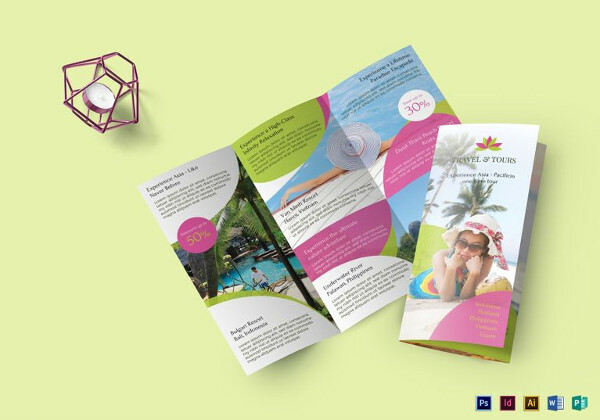 A creative travel brochure is a kind of advertising brochure that will let the potential customer feel the experience into any destinations without having to travel yet. This particular feeling will let them decide to choose your travel offer. That is why it best to create a travel brochure that has your personal experience in it so that the tourist will also feel the experience you had. 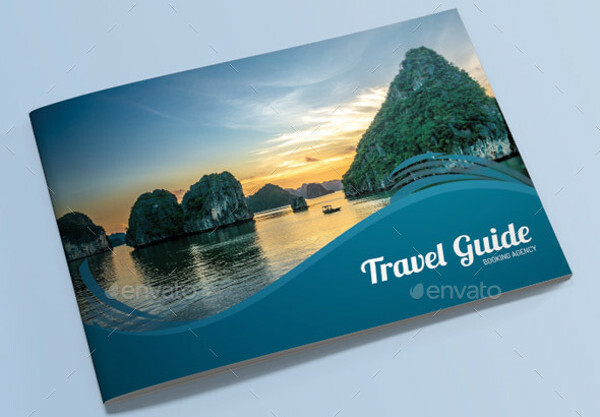 To help you with that, the following are the steps to create a travel brochure. Choose a destination for your travel brochure and explore it afterward. As stated above, it is best that you have already visited and experienced the destination. This will help you to easily describe the place and provide the best activities. You could also add in your travel brochure the good comments and opinions of the local residence in that place. Pick your target customers or tourist. This is important because not all customer want’s to travel in the destination you provided or maybe some customer had already visited that place. That is why you need to target a particular group that will be most interested in that travel. Determine the appropriate price of your travel package. This step may be the hardest, that is why you need to think this very carefully and thoroughly. You need to make the price of your travel package into a reasonable profit but don’t get too very expensive to the point where it is not appropriate to the travel package, as this may cause the potential customer to turn down your offer. In writing the context of your travel brochure, don’t make it as if you are writing for a company brochure. They are not the same. Use creative and easy-to-read fonts, write a compelling title, use an appropriate image and don’t forget to provide your contact details. People that wants to travel often look first on the travel brochure provided by the travel agency or the tour guide. That is why it is very crucial for the travel brochure to display a good and amazing travel experience that will attract potential customers. People would turn down a travel offer if they are given a travel brochure that is not well-written and does not display the travel experience that they envision in their travel escapade. Have an enough financial to fund your travel brochure. 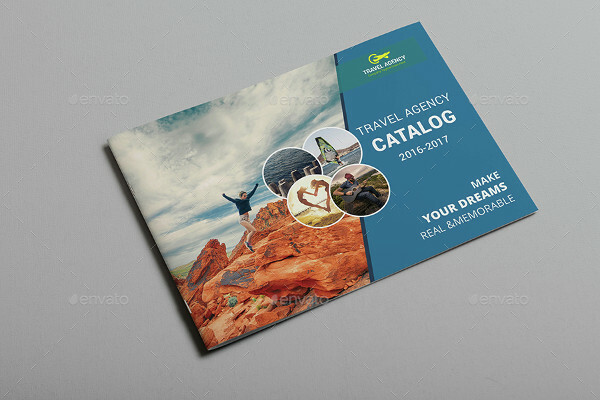 Although brochure is less expensive to produce, it is best to keep in mind to have enough money to fund the entire process of creating a travel brochure, that includes the cost of artwork, research, and the distribution of your real estate brochure. Use an appropriate and best photo to promote a destination, a hotel, or a restaurant. Photos are the most important part not only in event brochure but also in a travel brochure. It acts as a preview of the place that the potential customer would see. 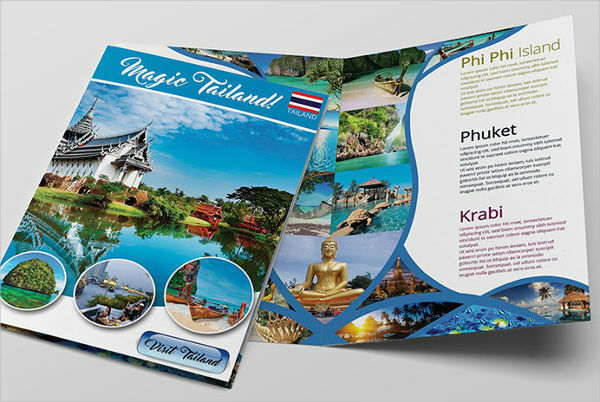 Travel brochure also acts as a travel agenda that will guide the tourist throughout the travel. Place all the important information in the travel accordingly. This is to help the customer identify the activities and the places they will go without confusing them. Placing all the information and the activities accordingly can also have a big impact on the promotion of your travel offer and to your travel agency. Provide maps and directions to your travel brochure. Apart from images, maps and directions also play an important role in any travel brochure. The maps and directions are essential to the tourist, it will help them create a mental picture of where you travel destinations and activities take place. Using a trifold brochure will ease the placement of maps and directions.